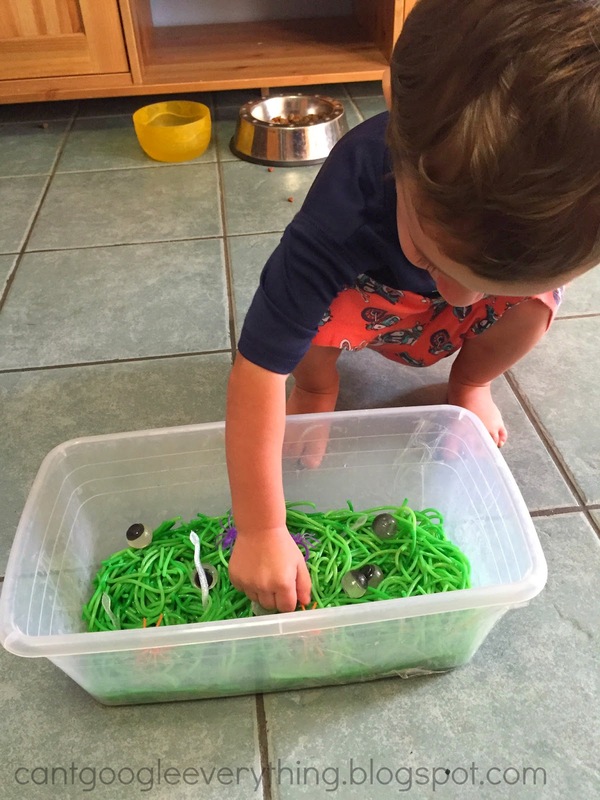 We’re upping our sensory bin game around here with a little bit of dyed cooked pasta this time! 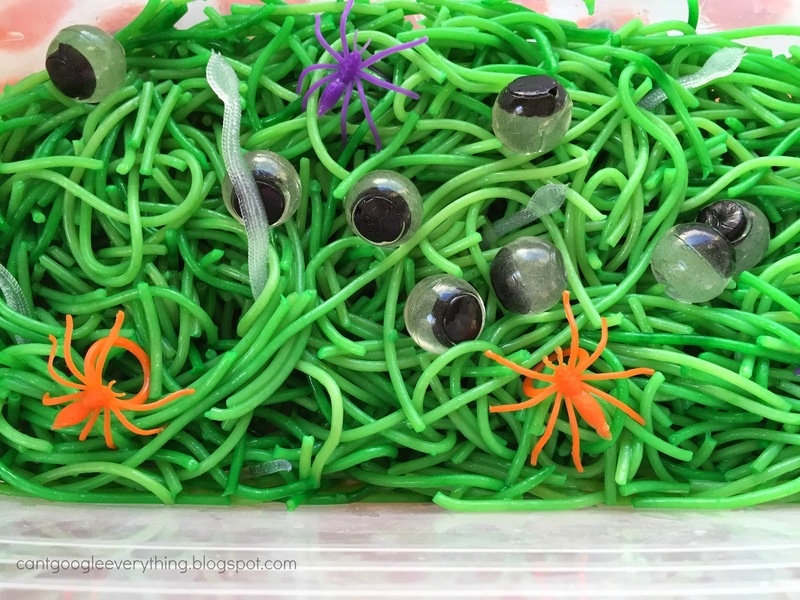 Pasta is a great base for a sensory bin and we made a Halloween themed bin with green spaghetti as the base! It is so easy to dye the pasta and here’s how! add a splash of cooking oil (your choice of kind) to making it extra slimy! add several drops of food coloring and mix until it’s evenly dyed! 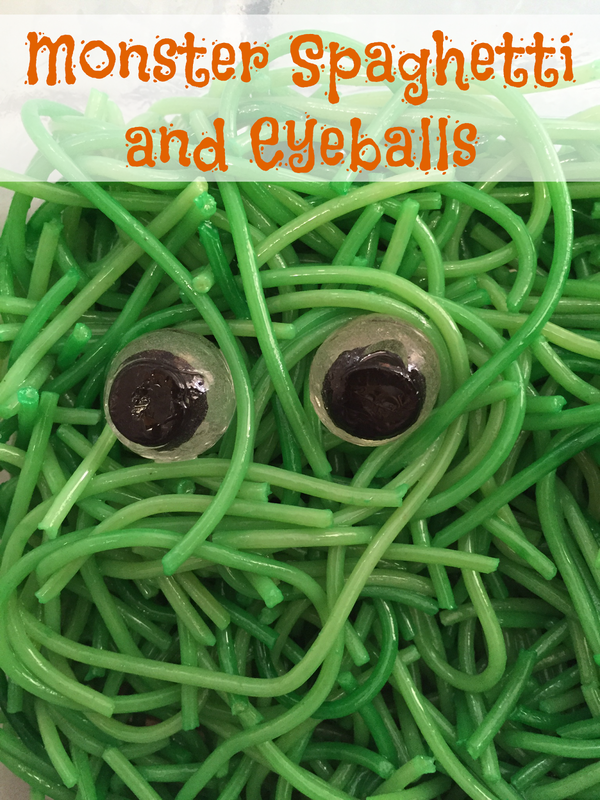 Add fake eyeballs for spaghetti and eyeballs! I added some other Halloween items for extra spooky fun- plastic spider rings and fake snakes! Carter loved mixing it all together and pulling out each of the items. I found these at my local grocery store but I’m sure you could find similar items at the dollar store, target, wal-mart, craft store etc! I did have to remind him a couple of times not to eat it, which is kind of confusing since it is spaghetti! He did pretty good with it though! After he was bored with the green I let him help me dye the other half of the cooked pasta. We decided on orange (it is a Halloween theme after all!) and I let him mix the oil and colors into the pasta. 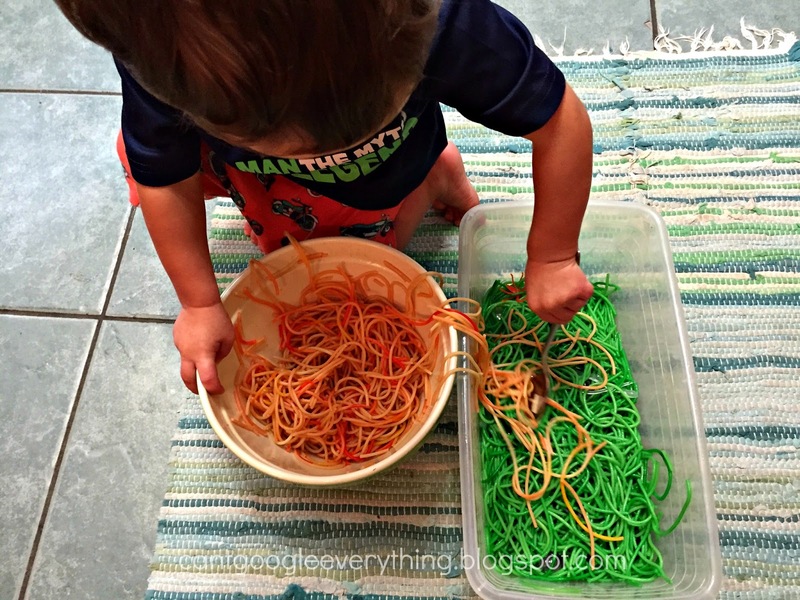 Then we mixed the two colors together for a monster mash of spaghetti! This looks like so much fun! I'm definitely going to try this with my son! This is a great idea. I might just steal this idea for a home activity with the kids. I might have to remind them a million times not to eat it, because I'm sure they'll try.